"I generally find smart evil to be more fun." 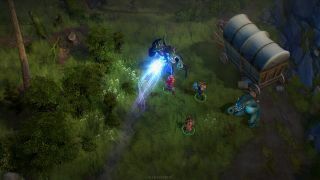 Prolific RPG designer Chris Avellone has been working on Owlcat Games’ adaptation of the Pathfinder tabletop game, Pathfinder: Kingmaker, but he’s taken a break from scribbling down quest ideas to answer questions from the community, teasing some of the adventure’s features in the process. There’s more in the full interview, so give it a read.